Grand Duke Jogaila of Lithuania married King (sic.) Jadwiga of Poland in 1386, and became King Wladislaw II of Poland. In 1569, the last of the Jagiellonian Dynasty, King Zygmunt II, federated Poland and Lithuania at Lublin, and elevated Prince Gedroyc to vicariously rule as Grand Prince for Lithuania, which was bigger than Poland at that time and encompassed today's regions of Belarus and Ukraine as well as Lithuania. Gedroyc were princes from the 13th century, and letters patent of acknowledgment include 1811 Vilnius and St Petersburg, and 1873 St Petersburg. King Roman's father married Paulina, first child of (Grand) Prince Wladislaw Ignacy Marek Gedroyc (1862-1943) at Lwow in 1927, and became Prince Roman I. When Wladislaw died in 1943, Prince Roman I (1901-1967) became Grand Prince Roman I. When GP Roman I died in 1967, his first Scottish child, Prince Ronald (now King Roman), inherited title while Lithuania was still under the USSR. His Imperial Majesty King Roman, Royal Sovereign of Europa and Grand Duke of Lithuania, reigns over his Realm from Darwin, Australia, and for the moment leaves running of constituent nations to their duly elected civil governments and civil sovereigns. King Roman is First Admiral for Lithuania & Ukraine, and First General for landlocked Belarus. Contrary to views stated elsewhere, Lithuania (and Belarus and Ukraine) is, currently and unusually, a constitutional state with a real monarch awaiting full and proper official acknowledgment. 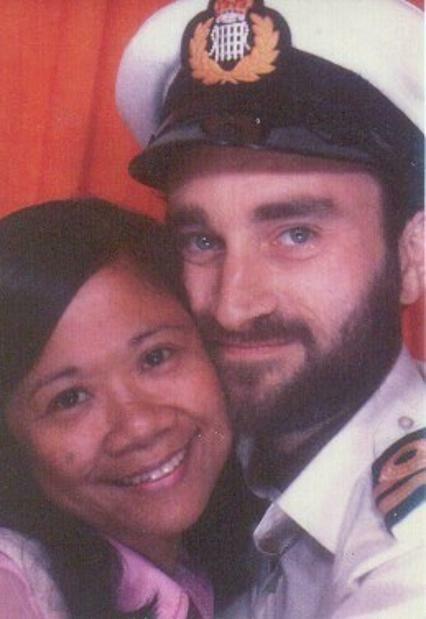 King Roman formerly served in the Royal Air Force (United Kingdom), Royal Navy Reserve medic, Citizens Military Forces (Australia) briefly, and was a Patrol Officer/Kiap (as was Aussie movie star Errol Flynn) in Papua New Guinea. The Governor-General will award him the Police Overseas Services Medal TPNG in September 2014. (The medal was only approved in 2012 for those who served in PNG prior to independence in 1975. As well as being His Imperial Majesty King Roman the First, Royal Sovereign of Europa, Grand Duke of Lithuania, and Count of Lubraniec Dambski, His Imperial Majesty is also Grand Prince of Belarus, Ukraine, Livonia, Novgorod, and Vladimir; Prince/Duke of Aukstota, Bryansk, Chernikov, Chernobyl, Courland, Galicz, Giedroyc, Grodno, Kiev, Kosovo, Krvac, Minsk, Moldova, Lvov, Minsk, Moldova, Novaharodak, Ossetia, Oswiecim/Auschwitz, Palanga, Perjaslavl, Polotsk, Pskov, Ratno, Riazan, Rostov, Samogitia, Santok, Smolensk, Starodub, Trakai, Turau, Tver, and Vitebsk; King and Prince Elector. His Imperial Majesty King Roman, Royal Sovereign of Europa, Grand Duke of Lithuania, wishes to federate Lithuania, Belarus, Ukraine, and others, in a constitutional royal alliance, to give his peoples back the pride which is their true royal tradition. This is in line with the original desire and intention for Lithuania of the 23 April 1994 LBKS Congress in Vilnius, when King Roman, attending as Count Roman Dambski II, was made a founding senator. 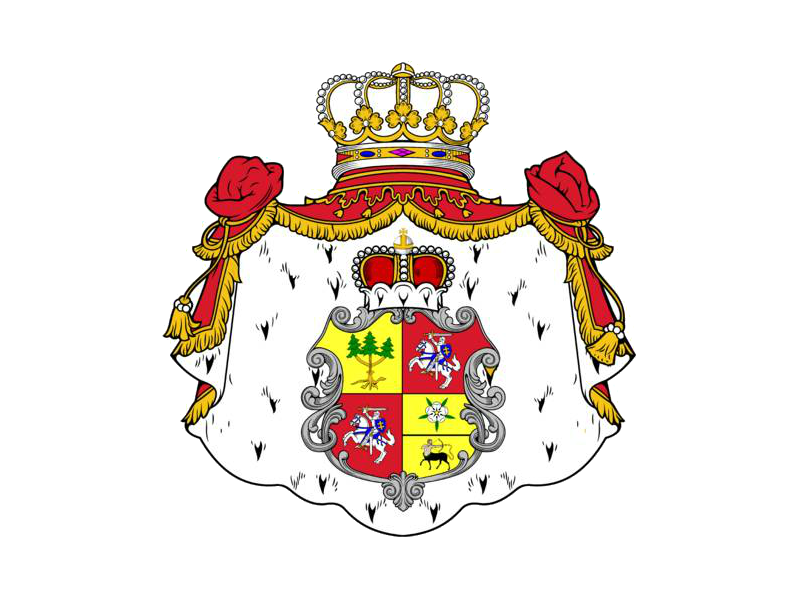 The new nobility society was called LBKS or Lietuvos Bajoru Karaliskoji Sajunga (Royal Society of Lithuanian Nobility). The LBKS, now called LRUN, had new elections in 1996 since when it apparently lost focus. King Roman seeks full (constitutional) restoration of the Lithuanian Monarchy in order to stir up pride in the people's hearts, increase prosperity, and reduce a suicide rate which is one of the highest in the world. King Roman wishes the same for Belarus, Ukraine, and other territories in his Realm. When Lithuania was inherited in 1569 from the last Jagiellon king, Lithuania included the regions which are now Belarus and Ukraine. In 1992, the year following their independance from Russia, King Roman visited his step-mother Princess Paulina Dambska (see photo below left) in Bielsko-Biala Poland at her invitation, at which time she requested he restore the family titles. He also visited his father's Royal Tomb at Brama IV in Warsaw (see photo right). It was inscribed Count of Lubraniec Dambski and Grand Prince (/ Grand Duke) of Lithuania. Since introduction of republican systems in 1991, the new Lithuanian nobility society or LBKS (Lietuvos Bajoru Karaliskoji Sajunga) of around 400 members, of which King Roman was elected a Founding Senator on 23 April 1994 in Vilnius, applauded the reformation of a Grand Duchy in Lithuania, but it left Lithuania's Royal Tradition in limbo after subsequent elections in 1996. HIM King Roman not only has the lineage but also the right of adverse possession and, as "pretender"/claimant to rule of the Grand Duchy, is the de jure monarch of Lithuania, and all lands accruing to or associated with the Grand Duchy. Any country within the Realm of Europa/Lithuania may propose to lead the change to full constitutional monarchy through direct approach to King Roman. This includes other countries formerly connected with this Realm. If you are able and would like to support and assist King Roman, you will be rewarded according to your generousity.